What is a Remainder in Math, and Why Do We Care? What is a Remainder (in math)? integer arithmetic, the answer is three, as the fractional part is lost. In this case, two goes into seven three times, with one left over; that leftover one is what we call the remainder. The remainder of two numbers (and the operation to find it) is also called the modulus; we say that the modulus of seven and two is one, or simply two modulo seven equals one. 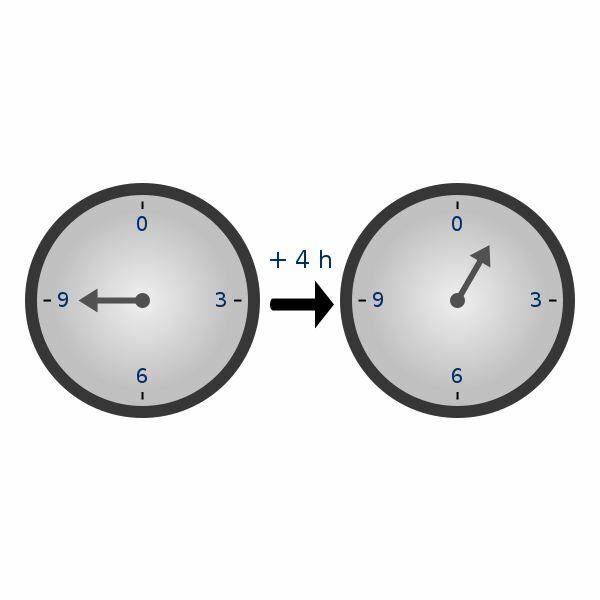 This type of math is also informally known as clock arithmetic; if it’s 10:00 now, then in five hours it will be 3:00 (assuming we’re using standard 12-hour time). Let's try a few examples. What is 21 mod 4? In other words, what is the remainder when you divide 21 by 4? Four goes into 21 five times, with one left over, so the remainder is one; we can write 21/4 = 5r1. Let's try a more challenging one: what is 187 mod 12? 12 goes into 18 once, with six left over; it then goes into 67 five times, with 7 left over, so we get 187/12 = 15r7, and the remainder is seven. Finally, what is 120 mod 10? Ten goes into 120 twelve times, with nothing left over; that is, 10 divides 120. This means that 120 mod 10 = 0, and there is no remainder. Suppose you ask me to solve a remainder problem for you, and I do so. How can you check my answer? Let's say the problem is 134/11, and I tell you that the answer is 12r2. You multiple 11 by 12 to get 132 and subtract that from 134; this gives you 2 left over (remaining). My answer is correct! Now that you know how to find the remainder in math, you might wonder exactly what it's good for. The remainder is exactly what it sounds like; it tells you what's left over after you divide up something. For example, if you have seven slices of pie and three hungry people, knowing that 7/3 = 2r1 means you know that each person can have two slices of pie and there will be one left over! In more advanced mathematics, the RSA algorithm, which is one of the bet-known algorithms for public key cryptography, uses modular arithmetic (that is, calculations where all numbers are taken mod some integer n). The number n used by the algorithm is very large (it is the product of two large primes) but advanced tricks for modular arithmetic allows the calculations to be done much more quickly.